Want to design or improve a course with the latest technologies or research-based best practices? Partner with us through DELTA Grants! The DELTA Grants program provides support through key services and financial resources to increase student success through faculty partnerships. Our goal is to collaborate on reusable efforts with a broad reach to enhance teaching and learning through technology. We offer several grant types to enhance the creation of online or hybrid courses, promote teaching effectiveness, develop large course redesigns, experiment with better ways to engage students and more. What are the benefits and services faculty gain by partnering with DELTA? Your own DELTA team to collaborate with you to find solutions for your instructional challenges. Our expertise in instructional design, new media development, application development and more (based on the project scope). Your time investment will multiply the benefits of your DELTA team’s success. Financial resources to use for personnel, conferences, equipment, etc. A partnership to impact teaching with technology based on pedagogy. Which DELTA Grant is right for me? If this is your first time applying for DELTA Grants, we strongly recommend you attend a group consult. For an overview of all grant types competitive priorities and requirements, please read the DELTA Grants Overview RFP. Individual grant type details are summarized below. Once you have chosen your grant type, we recommend prepping for the application process by filling out the proposal worksheet for your specific grant. This worksheet can be found in the grant-specific RFPs linked below. 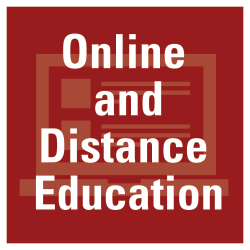 Online and Distance Education (ODE) grants provide funding and DELTA staff assistance for the design and development of an online and distance education course or the creation of instructional materials to expand or substantially revise an established course. Your credit-bearing course is at NC State University, developed for and with enrollment potential primarily for non-campus Online and Distance Education program students. You need support for to create or substantially revise an online and distance education course designed according to national course quality standards and best practices. You seek to emphasize innovative use of technology and pedagogy in online teaching and learning. You want development of web-based and multimedia learning materials, as needed. 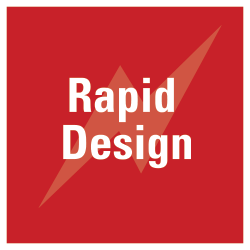 Rapid Design (RD) Course grants empower faculty to quickly produce quality, best-practices-based online and distance education courses. This is accomplished through the application of DELTA-developed templates, step-by-step guides, and consulting sessions to ensure that faculty members have the tools and skills necessary to design or redesign their courses. Your credit-bearing course is offered at NC State University, developed for and with enrollment potential primarily for non-campus Online and Distance Education program students. You need support for to efficiently and effectively put a quality course online. You are highly motivated and can achieve a lot with the right resources and guidance. 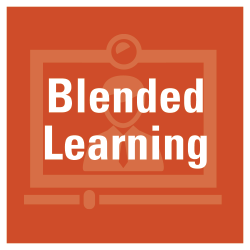 Blended Learning (BL) grants provide funding and DELTA staff assistance for the design and development of instructional materials and strategies to be used in environments combining face-to-face and online learning best practices. Your credit-bearing course is offered at NC State University. You need support integrating online learning into face-to-face courses. You need assistance designing effective and pedagogically appropriate blended learning courses. You seek guidance with course development tools. 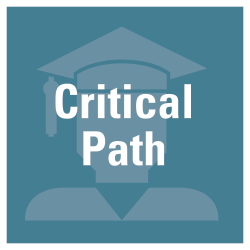 Critical Path (CP) Course Redesign grants fund the redesign of large enrollment or critical path courses on the undergraduate level which are required by the major, college or university for graduation. You have taught the course at least once at NC State University AND are actively involved with teaching the proposed course. Your course is at the undergraduate level AND is required for graduation by the major, college, or university. You seek support for partial or full redesign of a large enrollment or critical path courses. You need to develop of interactive computer-based materials and activities. 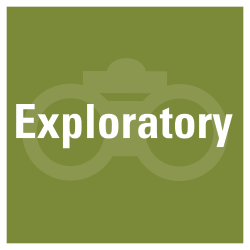 Exploratory (EX) grants provide funding to examine a single application or to address a unique instructional challenge in an existing course. You seek support for the exploration of targeted emerging technologies and their application to teaching and learning, or the exploration of unique challenges in presenting, delivering or engaging students in learning. 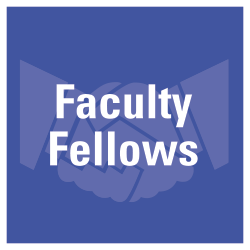 Faculty Fellows (FF) grants sponsor NC State faculty to work with DELTA to share their experience teaching and learning with technology, allowing the campus community to benefit from their expertise. You want to collaborate with DELTA staff to support other faculty in teaching effectively using campus technologies, including Moodle, Zoom, Google Apps for Education, My Mediasite, and other related tools. You have been employed at NC State University for at least five years.